The European Commission’s blueprint for Intellectual Property Rights – what’s in it for the medical devices industry? T he Commission has decided that the existing mix of European and national rules are no longer adapted and need to be modernised. As IP lawyer I welcome this initiative. Although I have always found the IP rules sufficiently flexible to address any problem, enforcement and interpretation are real problems with diverging national and EU IP rights and the costs of transactions (licensing for example) can be substantial. That is why the Commission has recently adopted a strategy to revamp the legal framework in which IPR operate and to adapt it to the new circumstances. The Commission already launched proposals in April for a unitary patent protection under enhanced cooperation. Meanwhile, it now announces that work will continue on proposals relating to the creation of a unified and specialised patent court for the classical European patents and the future European patents with unitary effect after the first version was shot down by the European Court. If the EU succeeds in producing s workable framework that its own Court can agree with, this would reduce litigation time and costs as well as increase legal certainty for business. Obviously, patents are crucial for the devices industry, while the costs of multi-jurisdictional litigation in Europe can be very to almost prohibitively high with the risk of diverging judgments in different jurisdictions. The protection of trade secrets varies widely among the different EU member states and protecting collections of substantial, identified and secret technical and/or procedural information (e.g. the contents of a technical file or description of a quality system) is a big problem, even though the subject is harmonised at a very high level under the TRIPS Treaty. The Commission acknowledges this but needs more time to study the problem. It therefore does not propose immediate measures in this respect but announces that it will “pursue its reflection and gather comprehensive evidence before taking a position on a possible way forward”. This is an important subject for the medical devices industry to watch and lobby on (the Commission is after all still considering the options) as the industry does not have any form of regulatory data protection as the medicinal products industry has in the EU. Also, know-how and trade secrets play a very important role in the industry so better regulation of its protection would benefit companies large and small. The Commission intends to present proposals in 2011 to modernise the trade mark system both at EU and national levels and adapt it to the Internet era. This may include not only simplifying and speeding up the registration procedure, taking into account the requirements of the electronic age, but also “increasing legal certainty, such as by redefining what may constitute a trade mark”. I am not sure what redefining the scope of what may constitute a trademark will entail in terms of legal certainty, but it will mean that companies may need to revisit or take a closer look at their trademark strategy. GIs secure a link between a product’s quality and its geographical origin. However, there is currently no such system available at EU level for the protection of non-agricultural products such as Carrara marble or Solingen knives, or, why not, MRI scanners from the Netherlands or hip replacements made in Germany. The Commission is considering proposing EU legislation in this field. It will be very interesting to see where this goes and what connections there are in the devices industry between devices and geographic areas. While the substantive scope of copyright has been largely harmonised, rights are still licensed on a national basis, software copyright being a case in point for the devics industry here with the way devices and eHealth services are currently developing. In the 2nd half of 2011, the Commission will submit a proposal to create a legal framework for the efficient multi-territorial collective management of copyright and it will also establish common rules on the transparent governance and revenue distribution. Although the copyright measures seem to be mainly aimed at the audiovisual and entertainment industry business models, they may impact the devices industry where it uses their sales channels and with respect to the plans to regulate user generated content (interesting in case of patient / end user feedback customization / improvements of devices software). Counterfeiting and piracy are a growing threat for the economy. Although counterfeiting is more prevalent in e.g. medicinal products for the moment, it is expected that also the medical devices industry will become more affected. The Commission is set to intensify its efforts in this area. Firstly, the Commission has tabled a regulation that is to reinforce the European Observatory on Counterfeiting and Piracy, which it launched in 2009, by entrusting its tasks to the Office for Harmonisation in the Internal Market (OHIM). This will allow the Observatory to benefit from OHIM’s intellectual property expertise and strong record of delivery in trade marks and designs. 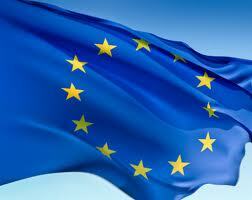 The Regulation now passes to the European Parliament and the Council for consideration. Secondly, in Spring 2012, the Commission will propose to revise the IPR Enforcement Directive (see here for the underlying discussions). The Directive provides for civil law measures allowing right holders to enforce their intellectual property rights but should be adapted, in particular to meet the specific challenges of the digital environment, and, I would add, the sometimes spectacularly diverging way in which the national courts apply it. Customs supervise all trade crossing EU external borders: they carry out controls for many purposes and have an essential role in fighting the trade in IPR infringing goods. As part of today’s overall IPR strategy, the Commission also proposes a new customs regulation, to further reinforce the legal framework for customs’ actions. The proposal also aims to tackle the trade in small consignments of counterfeit goods sent by post as the overwhelming majority of these goods results from internet sales. This will be of particular interest to the in vitro diagnostic devices industry that suffers from counterfeit self tests sold over the internet. Involvement of customs can also be used for other reasons, such as (post) market surveillance pursuant to Regulation 765/2008. Combining a strategy of involvement of customs in market surveillance and anti-counterfeit action can be a very powerful tool for a devices company, as this allows for a two-pronged approach based on safety/conformity issues and IP rights. In summary, a very ambitious agenda and hopefully one that will bear the aimed for fruits. The medical devices industry will surely stand to gain from these initiatives. You can keep track of the whole agenda using the convenient time table in the back of the document.